Panthers( 12-4) : The Panthers experienced the agony of defeat in Super Bowl 50 at the hands of the Denver Broncos. Cam Newton balled out last year earning his 1st MVP last season. The Panthers have two game changing play makers in RB Johnathan Steward & WR Kelvin Benjamin who were absent in their Suberbowl run. Benjamin return is key to this receiving core that saw TE Greg Olsen ( 77 Rec , 1,104 Yrds, 7tds in 2015) as its leading Reciever in 2015. The offensive line is solid with book ends Ryan Kalil & Andrew Norwell coupled with LT Michael Oher. Panthers defense became a top 10 defense in 2015 under the direction of Defensive Coordinator Sean McDermot. The D line is stacked with Kwann Short who broke the Panthers single season sacks by a Defensive lineman with 11 sacks in 2015. Star Lotueli looks to improve on his 2015 campaign . Thomas Davis & Luke Kuechly are an unstoppable duo at the LB position ( Davis: 5.5 Sacks ,Kuechly : 118 tackles , 6INTs in 2015) . Losing Josh Norman will hurt them intially , but overall they will be fine. Ben Benwikere moves from the nickel back to starting corner. The Safties are fairly good with up and coming player Tre Boston & veteran Kurt Coleman. 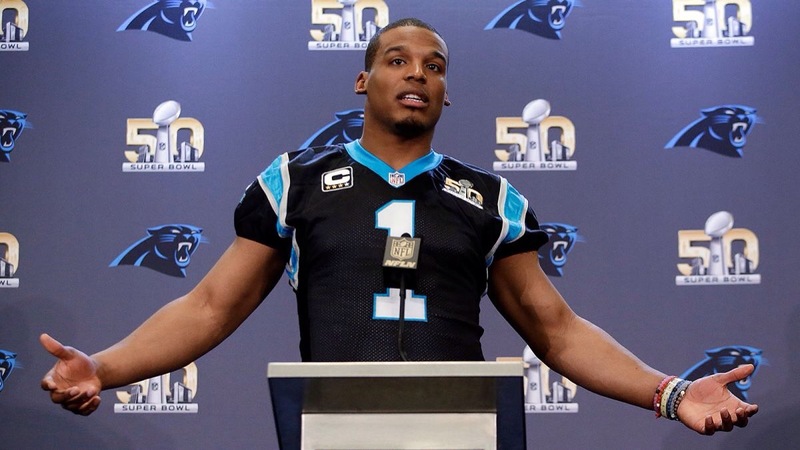 The Panthers was only two turnovers away from winning their 1st Super Bowl . I expect them to make a run back to the Super Bowl …Stay Tuned!!!!!! Buccaneers (8-8) : Offensive juggernaut isn’t what you would call the Buccaneers in the past . In 2015 the Buccaneers racked up a franchise high 6,014 yards. Offense coordinator Dirk Koetter was promoted to head coach ( still have mixed feelings on this ! #TeamLovieSmith) in the offseason. Cam Newton jr …oops I mean Jameis Winston had a breakout rookie season in where he was the third rookie to throw for 4,000 yards plus. Doug Baldwin shows that he’s an elite RB with 1,402 yards last year. The Reciever core has two guys who can have 1,000 yard recieving corewith Mike Evans( 74 rec 1,206 yards in 2015) & Vincent Jackson . Austin Seferian Jenkins has the potential to be a productive TE. The Defense ranked 10th in total yards & 26th in points allowed. Gearld McCoy has averaged 8.8 sacks per year and he leads the DLine with Robert Ayers, Noah Spense, Jaques Smith & Will Gholston. The highlight of the LB core is Kwon Alexander who in 2015 had 93 tackles, 2 INT & 2 forced fumbles & Lavonte David who had 147 tackles . I like how the Buccaneers went out and signed Brett Grimes who will team up with rookie corner Veron Hargraves. The safeties are truly underrated with Bradley McDougald and Chris Conte. I expect the Buccaners taking a huge leap and fighting for a playoff spot! Saints (6-10) : The Saints won’t be marching atop the NFC South , but they still have Drew Brees. Brees had 4,870 yards 32 TDS & 11 INTS in 2015. Former Heisman trophy winner Mark Ingram posses the ability to be a 3rd down back who can be a Reciever in the backfield. On paper the receiver core looks thin , but we have been here before . Once upon a time we thought Marques Colston (who was released ) and crew as a suspect recieving core ( we have learned the hard way). One bright spot for the recieving core is Willie Snead who was on the doorstep of 1,000 yards in 2015. The defense is the Saints weakest link… This unit is led by Cam Jordan who had 10 sacks last year. Also expect sold contributions from Nick Fairley , James Larintus & Kenny Vaccarro. Expect the Saints to be competitive , but will fall short in its pursuit of the NFC South title. Falcons (5-11) : Atlanta took a step back offensively in 2015. The Falcons ranked 21st in scoring and 7th in total yards per game. In year 1 of the Kyle Shannahan tenure Matt Ryan amassed nearly 5,000 yards. Devontae Freeman emerged as the Falcons go to running back who finished 7th in rushing yards( 1,056 yards) and lead the NFL with 11 rushing TDS. The Falcons have arguably the best the best recover in the game in Julio Jones who had 1,871 recieving yards in 2015. I like the acquisition of Mohamed Sanu who is once again the robin to superman( was the #2 wideout behind A.J Green in Cincinnati). Sackng the QB was one of the Falcons biggest issues in 2015. The Falcons ranked 31st in sacks with only 19 sacks( yes the entire team didn’t even register 20 sacks). The Falcons are looking for Vic Beasley and Dwight Freeny to bolster last years sack total. The Falcons will have a season that will be long.